The Hampton Roads Transportation Accountability Commission (HRTAC) approved a funding agreement with the Virginia Department of Transportation March 29 to deliver the Hampton Roads Bridge-Tunnel (HRBT) Expansion Project — the largest transportation project in Virginia's history. The project adds new interstate capacity and twin, two-lane, bored tunnels along nearly 10 mi. of Interstate 64 between Hampton and Norfolk. All I-64 projects under construction in the region today have been made possible through the HRTAC and VDOT partnership. The Project Agreement for Funding and Administration (PAFA), approved by HRTAC at a special commission meeting in Chesapeake, commits $3.56 billion for the I-64 HRBT expansion work, an amount to be paid through the Hampton Roads Transportation Fund from regional sales and gas taxes. The agreement means HRTAC will fund 95 percent of the project. Other project funding includes $200 million from the commonwealth's Smart Scale program and $108 million from VDOT to fund the replacement of the South Island Trestle Bridges in Norfolk. "The PAFA we are authorizing today would not be possible without unprecedented cooperation between HRTAC's local and state leaders, VDOT and the Commonwealth Transportation Board," said HRTAC Chairman Michael Hipple. "Together, we have worked to provide regional solutions and partnerships that ensure future congestion relief and connectivity throughout the region." VDOT Commissioner Stephen C. Brich commended HRTAC for making critical infrastructure investments that will improve travel time reliability and safety, promote economic growth throughout the corridor and enhance the quality of life for all Hampton Roads residents. "We are one step closer to constructing the HRBT Expansion Project, and HRTAC has been a committed partner in advancing this generational project," said Brich. Hampton Roads Connector Partners (HRCP) is the design-build team selected to deliver the project by Nov. 1, 2025. A construction contract, which contains an early completion incentive, was expected to be executed in early April. A groundbreaking ceremony for the HRBT Expansion Project was also scheduled for April. "HRTAC, the Hampton Roads Transportation Planning Organization and VDOT are solving our region's highway congestion by moving highway improvement projects forward at an unprecedented pace," said Kevin Page, executive director, HRTAC. 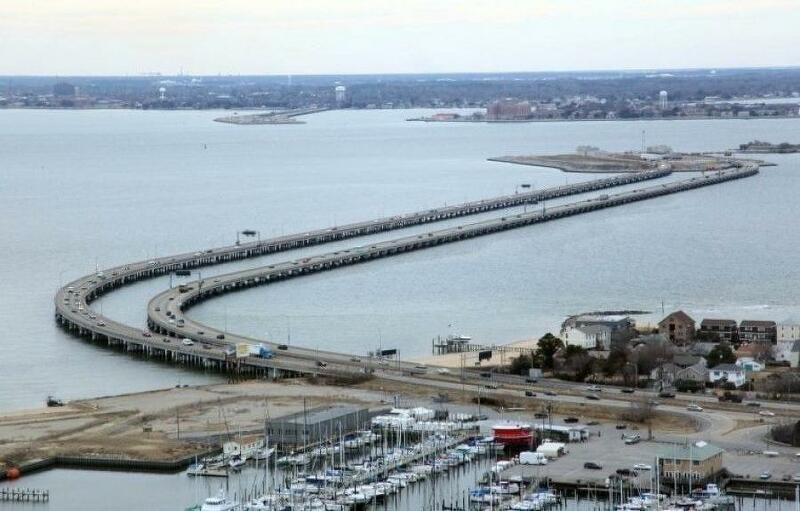 The HRBT improvements will occur in the cities of Norfolk and Hampton. "With over one billion dollars of regional funding already invested by HRTAC in congestion relief projects under construction by VDOT, HRTAC's funding commitment to the HRBT expansion is truly another major milestone for Hampton Roads and the Commonwealth," said Norfolk Mayor Kenneth Alexander. "The nearly 200 lane miles of new and rehabilitated interstate construction currently underway is proof we are just beginning to show what Hampton Roads can do to help solve its transportation problems," said Hampton Mayor Donnie Tuck.